This is an accessible and informative guide to the origins and core principals of natural therapies. The return to holistic therapies and complementary medicines is one of the most important developments in healthcare over the past two decades. With alternative preventative medicine being taken ever more seriously by conventional health practitioners, and the increasing popularity of natural and complementary therapies, it is becoming clear that a holistic approach will be integral to the future of health care. 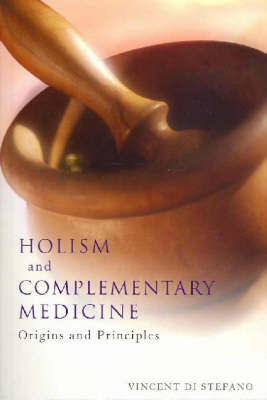 "Holism and Complementary Medicine" offers a systematic overview of traditional healing practices, the development of the Western biomedical model, and the holistic philosophy which is the basis of all complementary and alternative practices in the Western world. This volume explores the differences between the holistic and conventional medical traditions, acknowledging the strengths of both systems. It also addresses the key issues of complementary practice, and examines the role holistic principles have to play in today's health system.